Taylor: I’ve had this misconception for a long time now that Squirrel Girl is somehow not connected to the Marvel Universe at large. This almost certainly stems from Squirrel Girl being a comedic title that tonally doesn’t match the rest of the Marvel Universe (save for maybe Deadpool) and which often portrays superheroes as being goofy and inept rather than noble saviors of the planet. However, no matter how unique Squirrel Girl may be amongst Marvel titles, it’s still part of the universe just as much as any other comic, which is a fact made obvious in issue 27. Nancy and Tippy wake up one day to find that everyone is suddenly very interested in talking about how Doreen saved Earth from Galactus. Eventually, they discover that they are in a simulation run by a bunch of space squirrels trying to save their own planet from Galactus by trying to figure out how Doreen previously saved the day. In doing so, they explain how the Silver Surfer, the messenger of Galactus, showed up and warned them about their impending doom. In trademark fashion, writer Ryan North can’t help but write his own, humorous version of the Silver Surfer. The Surfer shows up with a bunch of his fellow surf-bros to warn the space-squirrels of Chitt-Crrt about — and then blackmail them over — Galactus’ plan to eat their planet. Naturally, these surf-bros talk like Bill and Ted from their Excellent Adventure. In doing this, North is using ironic humor to show us how inherently goofy the concept of Silver Surfer is. He’s a silver man who flies through space on a surfboard, so it’s understandable that North couldn’t help but have a little fun with this character. While this is funny, it would seem to suggest that Squirrel Girl functions independently of the Marvel Universe. After all, the Silver Surfer doesn’t talk like this in his or any other comic book, so why here? To confuse the topic more, elsewhere in the issue, when Doreen tries to find Nancy and Tippy, she is lead to the Sorcerer Supreme (who, rumor has it, can talk to Nancy’s cat). But when Doreen gets to the Sorcerer’s house, she is surprised to see who opens the door. It’s Loki! Yes, the god of mischief is the new Sorcerer Supreme, as readers of Doctor Strange know. Loki’s occupation of this role shows that Doreen and the rest of her world are indeed part of the Marvel Universe, at least as far as current events in other comics are concerned. 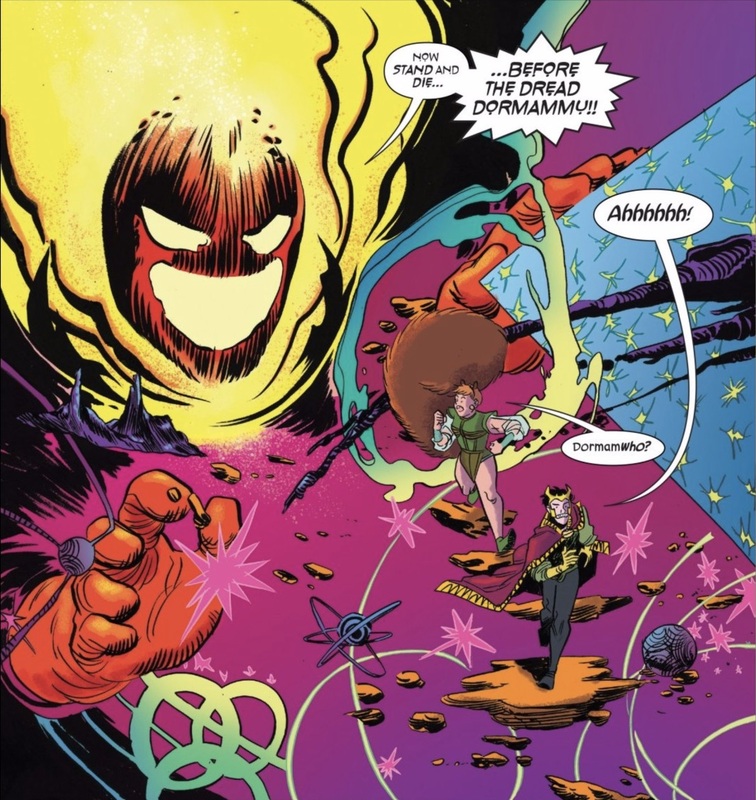 Aside from being the Sorcerer Supreme, Loki also remembers who Nancy is, and that is why he agrees to help Doreen in her search for her friends. This being the case, it can be seen just in the character of Loki alone a conflation of North’s altered version of the Marvel Universe with the one most fans and titles are familiar with. So what to make of this? Is Squirrel Girl part of the larger Marvel Universe or not? The answer, in short, is yes it is, though perhaps with an asterisk beside it. To understand how this works, let’s look at another scene from this issue. Before Doreen goes to Loki for help, she asks several cat associated heroes to talk to Nancy’s cat Mew, who would know what happened to her owner. Hilariously, none of these cat heroes actually knows how to talk to cats the way Doreen can talk to squirrels. Doreen is able to talk to these heroes because she’s part of the Marvel universe. But North being North puts his own spin on things to give his comic a comedic tone. This works because his humor is based on subverting what he and readers already know about comics and the Marvel universe. It’s ironic, yes, but it technically fits into the Marvel universe because he’s not changing anything about these characters or their circumstances that would change their own stories. Thus, North can make the Silver Surfer talk alike a bro in canon, without actually forcing other writer to conform to his humorous standards. Ryan, what did you think of this issue? I feel like it’s the perfect distillation of North’s offbeat humor. Do you agree, and if so, what’s your favorite funny moment? Also, as I was reading I couldn’t help but feel that Erica Henderson’s artwork has really grown since this series first begun. Do you agree? Ryan: Absolutely! Henderson’s art has evolved and this issue works as a showcase for both her quirky slice of life work when Nancy and Tippy are in the simulation as well as the fantastical art on the last page. The image is a perfect blend of wild danger and the kind of lightness that every Squirrel Girl adventure has. The cacophony of imagery and color leave the reader with a cliffhanger but keep the tone of the book fun. The issue itself walks the line between setting up desperate obstacles and making the book still feel like a romp. We start off in a strange world reminiscent of Invasion of the Body Snatchers, deal with Doreen’s search for her missing besties, find out said besties are on a planet set to explode and end up with Squirrel Girl being pursued by a demon. Despite all of that, there is no dread in this story. North and Henderson have created a world so filled with optimism that these plot turns only feel like opportunities for fun, adventure, and humor. Even the title of the book offers the same reassurance. Squirrel Girl is unbeatable. We don’t have to worry that this is the issue where she falls to a greater foe, or even that characters like Nancy and Tippy are in real danger. More importantly, the “unbeatable” of the title goes to Doreen’s spirit. 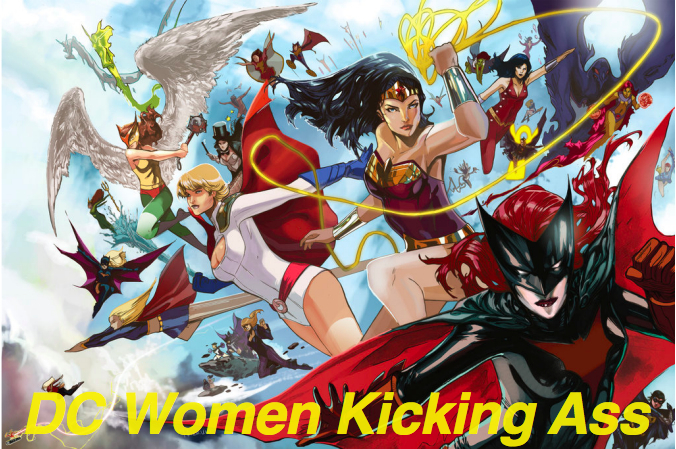 She is a force within the Marvel universe and is able to bring out different responses from characters the readers know well from elsewhere. Taylor, I think this element of Doreen’s personality could be the reason that you didn’t see her Marvel universe as being the same one where the rest of the continuity exists. Doreen sees the world differently than other heroes and therefore interacts with it in her own way. The squirrels of Chitt-Crrt would never have considered that friendship is the way to stop the devourer of worlds. Doreen’s kindness and down-to-earth friendliness make her interactions with everyone in the Marvel universe a little easier. In the scene noted above where she visits all of the cat-related characters that she can think of, not one of them gives her attitude. They all want to be helpful to Doreen, even if that means just letting her know that they cannot commune with felines. Loki demonstrates this tendency for characters to have a separate set of behaviors for Doreen when he opens the door to the Sanctum Sanctorum. 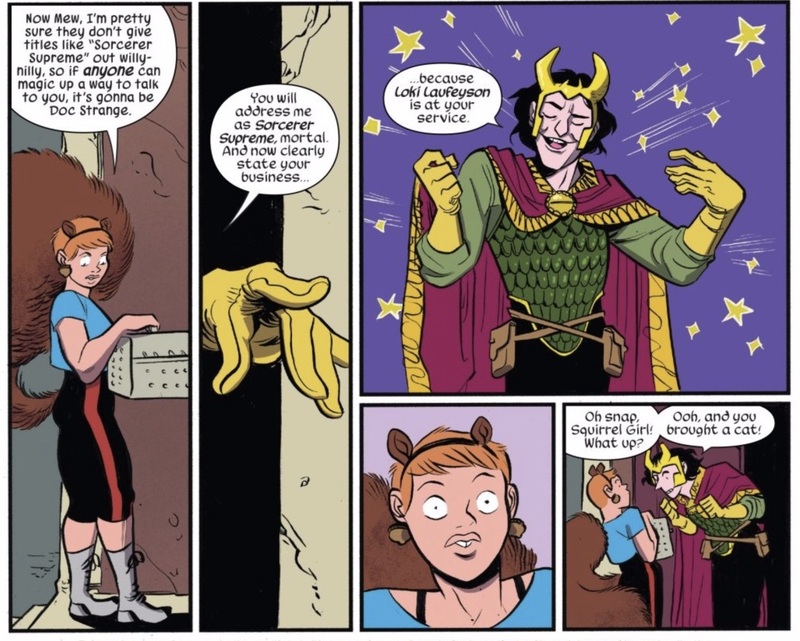 As soon as he sees that his guest is Doreen, Loki reverts to a more casual, friendlier and much more The Unbeatable Squirrel Girl version of himself. That’s the effect of Doreen on the world. She gets past the bluster and lets characters be a bit more chill, at least in the pages of her book. Taylor, the Loki stuff is the key to the issue. As you point out, the fact that Loki is Sorcerer Supreme means that USG IS taking place in the normal Marvel universe. And that means that it CAN’T be the real Silver Surfer threatening the squirrel planet. First of all, Silver Surfer hasn’t been Galactus’ herald in years, both in universe and in real life. Secondly, Surfer would be surfing on his board, not traveling in a spaceship with a bunch of nameless cronies. Third, Galactus is no longer the eater of worlds — in Ultimates he was turned into a seeder of worlds, someone who creates life instead of destroying it, and for the moment, that transformation has stuck. This isn’t just North doing shtick with the Silver Surfer — it isn’t the real surfer at all. It’s clearly an impostor, traveling from planet to planet blackmailing them with the threat of destruction at the hands of Galactus. The only real threat here is the bomb, and even then, I can’t be sure that it’s real. Mogge, that last point has always fascinated me — how do I deform the world around me? It’s a phenomenon I remember noticing with friends in college who had very strong personalities — people interact with them differently than they interact with other people, which maybe gives them a false impression of how the world actually is — but I’ve since seen in manifest in much more subtle ways with more unassuming types. Cynically, it might speak to some differences in lived experiences that may prevent any two people from ever truly understanding one another, but on a more personal level, it’s kind of freaky to think that our presence changes the people around us in ways we can never know. It is an interesting idea, especially when combined with the fact that people have different personas. Everyone has a different persona in, say, a business/work context than they do in a more casual context. I don’t think you could ever argue that we are our ‘true’ selves, because our true self is every persona mixed together, and we only ever have one persona on at a time. I think I’ve discussed this before, but when it comes to the idea of interpreting how a certain books fits into the ‘canon’, I work on the idea of each book showign us the Marvel/DC universe with a different lens that distorts the way we see it, emphasising certain elements and reducing others. So both the events of Batman and Justice League happen, even though Batman easily deals with threats that would be struggles in a Batman book. But the ‘true’ Batman (as much as there can be a true Batman with characters so mythic) is neither Batman. One book intentionally emphasises the street level aspects, the other emphasises his seemingly supernatural skill. Same with how Clint Barton is always more of a human mess in his own book than in an Avengers comic, where he is generally pretty competent. Both books are ‘canon’, but also intentional distortions on how things ‘really’ happen. And that’s how I interpret the more humorous side of the Marvel Universe with books like Squirrel Girl, Howard the Duck and Patsy Walker (Patsy is a great example of this phenomenon, as the She-Hulk book takes a lot of cues from the Patsy Walker book, even though it tells the story of the Jen and Patsy with a completely different lens). So a book like Squirrel Girl isn’t non canon, it is just focusing on a specific lens unlike nearly every other Marvel book.